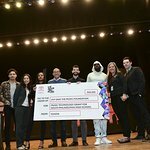 Wyclef Jean headlined a fundraiser on November 16 organised by the Consulate General of Antigua and Barbuda in Miami, the Global Citizen Forum and the Jumby Bay Fund in Antigua, who collaborated to curate an evening of food, entertainment and art with all proceeds directed to the rehabilitation of Barbuda. Guests of honor included the Governor General Lady Williams, Prime Minister of Antigua and Barbuda Hon. Gaston Browne accompanied with his wife Mrs. Maria Bird Browne, Ambassador Gilbert Boustany, Armand Arton, the founder of the Global Citizen Forum, and Martin Franklin, founder of Jarden. The four-course dinner was accompanied by entertainment from sons of the soil – The Strays, Former Miss Antigua Shermain Jeremy and Tessane Chin, winner of The Voice USA. 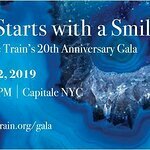 After the dinner, the event returned to the goal of giving with a live auction that included a 3-piece Murano glass collection with a two-night stay at the AMAN resort in Venice, Roland Iten credit card holder and an Oliviero Toscani Art to name a few. Hosted at the Estate House on the private hideaway of Jumby Bay Resort, the fundraiser raised more than US$80,000, towards the acquisition of a 400-Watt Milton Cat generator for Barbuda. 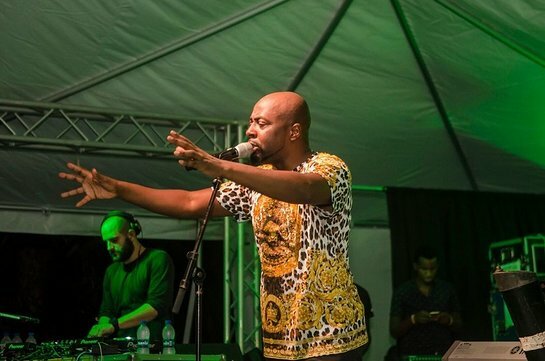 Grammy Award winner and Global Citizen Forum ambassador Wyclef Jean’s performance started out as an intimate acoustic show and ended with a full-blown celebration in honour of Barbuda’s resilience. “Truly it was a perfect evening. The ambience, the company, the vibe, the intimacy and the award-winning entertainment. Such a great night for a worthy cause,” commented Armand Arton. At this oasis of giving, Wyclef Jean donated his Santana guitar. “This guitar is one of my most precious items,” said Wyclef. The Fugees mastermind holds dear the people of Antigua and Barbuda and is committed to helping the rebuilding efforts. This event was a continuation of the fundraising efforts by the Global Citizen Forum, which in Montenegro raised more than US$400,000 for the Global Citizen Foundation. Some of the projects currently supported by the foundation are the rebuilding of Barbuda and the Amal Project in Dominica, which was also hit hard by the hurricanes. Earlier in September this year, Barbuda was hit by a category 5 hurricane “Irma”, which left 95% of existing structures damaged. Ambassador Boustany was exceptionally pleased with the turnout and support and in thanking the attendees, he promised that “Barbuda will rise again”.